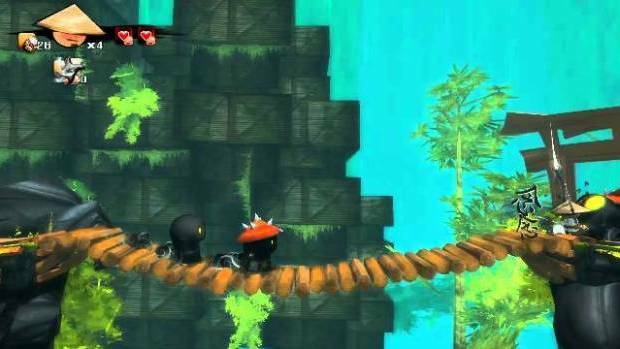 It takes some stones for any developer – let alone a small three-man indie – to bring a traditional action-platformer to a Nintendo console. 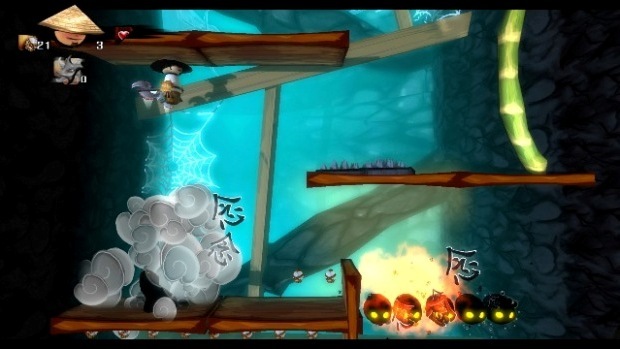 The Wii U already has some top-grade first party fare, not to mention one of the finest Rayman adventures to date, which is why it is hard to recommend Upper Byte’s outwardly charming, but ultimately limited, Wooden Sen’Sey. Set in a well-rendered, Ancient Japan-influenced gameworld, the game charges you to take on the role of Goro – a loveable, rotund, super-deformed warrior chief, rocking a traditional kasa and rather handy with an axe. It appears he has been the victim of an odd yet heinous crime – some creepy black blob dudes have pinched his liquid refreshments – and it is your job to traverse the thirty platforming stages to exact justice and return things to normal. Goro has a variety of tricks up his sleeve, which try to elevate Wooden Sen’Sey above the mundane and generic. A grappling hook is reasonably well implemented (although not as effectively as an Umihara Kawase, for example) and is the best thing in your arsenal. The axe used to dispatch enemies is a one trick affair, however – there are no combos on offer and slicing foes is just an entirely undemanding case of pressing one button. 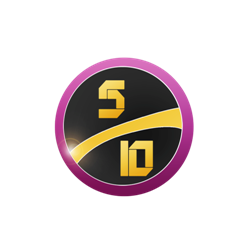 You can execute a double jumping manoeuvre which allows you to bounce on top of enemies, injuring them while allowing you to gain additional height or pound the earth next to them, which can dislodge armour from certain bad guys. 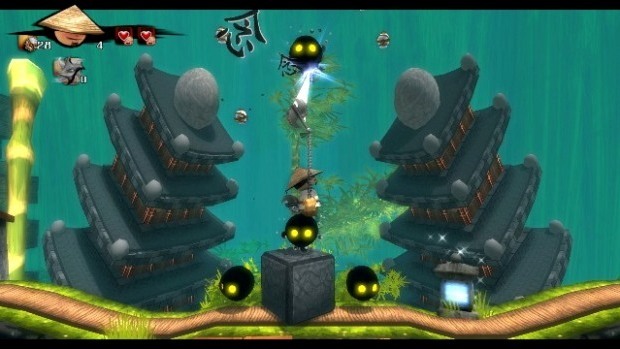 As you progress you can pick up additional items like ninja stars and explosives; the latter are employed to solve mild puzzling elements as well as wasting baddies. In the right hands, a game of this ilk can provide just the right balance of kooky charm and robust gameplay. Wooden Sen’Sey looks mostly fantastic – the moment you are transported into the opening village area, with bamboo and traditional buildings aplenty, you can see the time and effort that have gone into the aesthetics. There are some fine variations on time-honoured platform environs – a nice underwater stage, spider-filled caves, the obligatory spikes, pits and whatnot – but the things you spend time doing in them are just so dull. The menagerie of enemies are near enough all derivative of a black blob of goo with eyes – and represent an unimaginative counterpart to the likeable Goro and the fun, cartoony world he inhabits. Difficulty is all over the place, too. You are eased into the mix gently, yet encounter horrific spikes rather quickly, and discover that the grappling physics and level layouts aren’t all they are cracked up to be. There are some unbelievably difficult sections that exist purely as a result of shoddy physics and unintuitive design. When you encounter a difficult bit in a Mario title, for example, no matter how frustrating it may become (and I have had many a controller throwing moment) you know that it is fair – that it is your own fault. Here, you find there are times where the swinging hook is letting you down, or the uselessness of Goro’s attacks are at fault. It is a shame, because there are some generous time attack modes on offer – including one where you get to take on the developers’ best runthrough – but whether you will be prepared to subject yourself to such tortuous difficulty is questionable. Yet again, however, the devs have made a great use of the console. There are a multitude of control options – including off screen play and support for Wiimotes. There are even some surprisingly well-thought out motion elements, such as a tilting action to execute the head bounce attack thingy. Sumptuous looks are married to some terrific music, too. Plinky plonky tuneage sits alongside some likeable rock numbers, and there is some amusing speech. VERDICT: Wooden Sen’Sey isn’t the worst title in the world – it just exists in a time when we expect a bit more from our platformers, particularly when you are shelling out the thick end of a tenner. Again, I tip my traditional pointy straw hat in the direction of another tiny developer who have done some good work here – and I hope that they continue to develop for a console they clearly have a solid grasp of – but things really need to be a bit tighter next time.